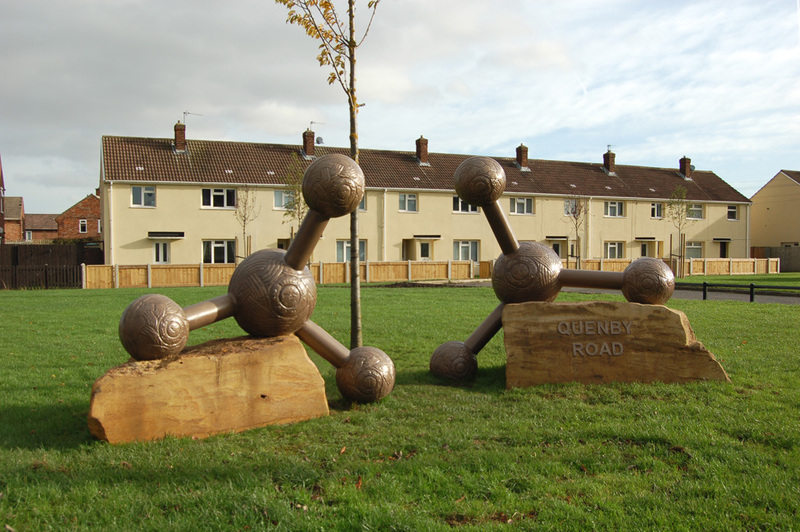 Quenby Road, Billingham, Cast Steel with a resin bronze coating. 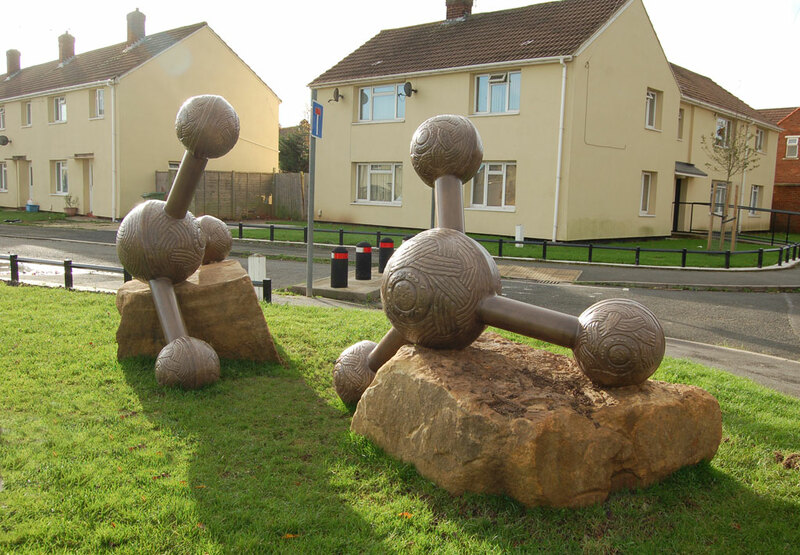 1.8m (h) x 5m (w) x 1.2m, (d), 2015. 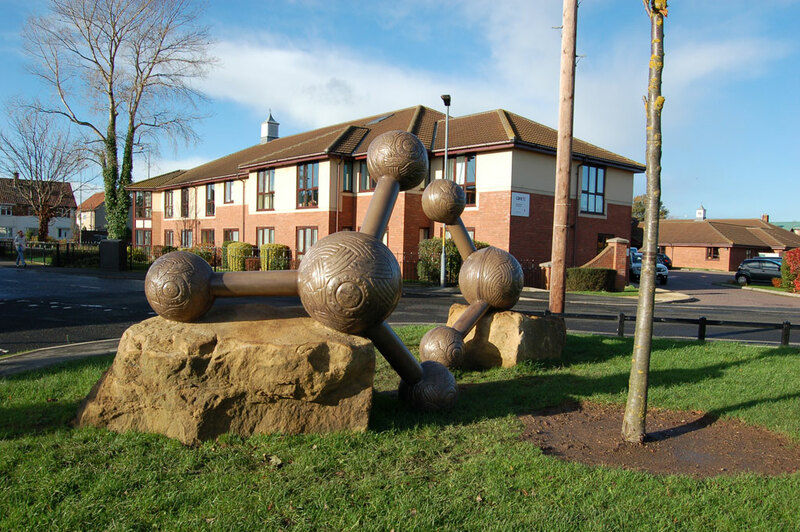 'Saxon Molecules' stands 1.8 metres tall and the design is inspired by the molecular structure of Ammonia, first synthesized in this country in Billingham, leading to Billingham’s growth as a town and the ICI chemical manufacturing plant known locally as 'The Synthetic'. 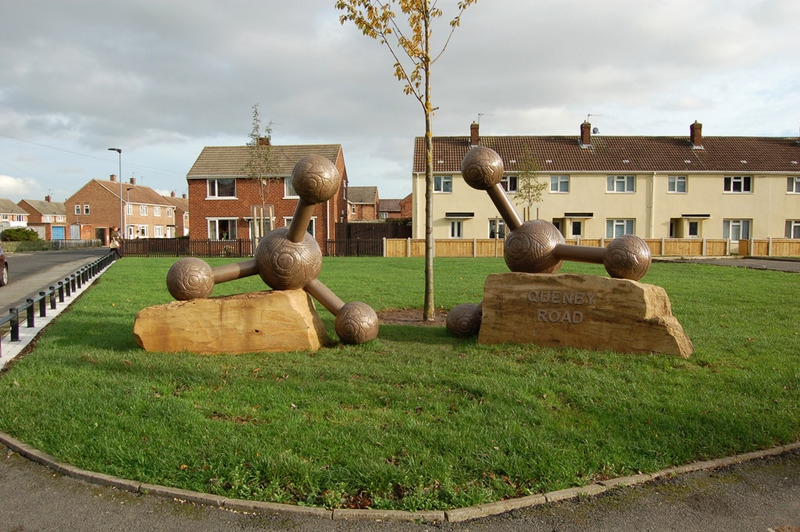 The Ammonia plant can be seen from the site of the sculpture. 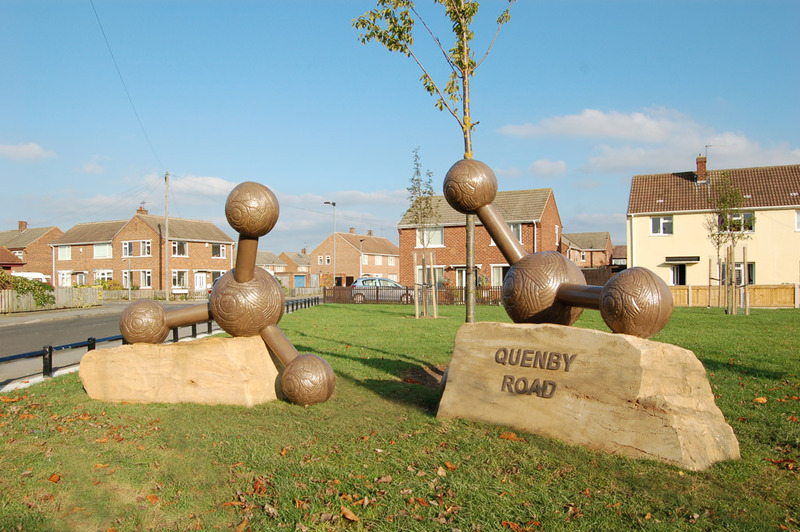 The individual molecules feature a design derived from Saxon knot work designs, acknowledging the Saxon Billa people who founded Billingham and from which the name ‘Quenby’ comes. The Scandinavian word ‘Quenby’ also means ‘Womanly and this knot work design is derived from Saxon brooches, probably female decorative artefacts.